This is a long post, but there’s some really juicy stuff in here, so get yourself a cup of coffee and settle in. We have news about the latest inductees to the Booger County Mafia, including Robertson County DA Coty Siegert and Hearne Interim City Manager John Naron, plus enormous and unexplained legal bills, international intrigue, and a federal investigation that could hook a former Hearne city manager, a former councilwoman, and other members of the Mafia. First, Coty Siegert. For most of this year, my clients and friends have been telling me that Coty sold his soul to the Mafia and, for most of this year, I’ve been giving him the benefit of the doubt. No longer. Two weeks ago I was contacted by the vice foreman of the Robertson County Grand Jury, and he confirmed what my friends have been telling me since January, namely that Coty is protecting Bryan F. “Rusty” Russ, Jr. and the other Mafia kingpins. In July, you may recall, I sent a letter to the grand jury because Coty was ignoring my request that he investigate Rusty for tampering with voter petitions. While serving as city attorney for Hearne, Rusty had intercepted the petitions and held them in his office rather than allow the city secretary to turn them over to the county for certification. The petitioners wanted to force a forensic audit of city finances, but Rusty wanted to block the election, apparently because he feared what the audit might reveal about him and his cronies (and now I’m wondering whether he was trying to hide the shady business deals that triggered the federal investigation). In my letter to the grand jurors, I asked them to take matters into their own hands (as the law allows) and investigate Rusty, regardless of what Coty did or did not want. According to the vice foreman, whom I’ll call “Mr. X”, Coty has been running interference ever since. Mr. X said he told Coty after the August grand jury meeting that I needed to be brought before the grand jurors (as I had requested). Coty replied that he could not subpoena me, although he would contact me by phone to see if I would appear. We both know that you have not tried to call me since August. In fact, you have steadfastly ignored my phone calls and emails to you over the last few months. Had you called (or responded to my calls), I would have informed you that the grand jury most certainly can subpoena me, regardless of whether I am outside of Texas. Earlier this year, for example, the Collin County Grand Jury issued a subpoena for me, I voluntarily accepted service by email in New York, and I traveled to Texas to testify concerning an investigation of Texas Attorney General Ken Paxton. In that letter, I asked Coty what he was offered in exchange for his soul. I don’t expect him to answer the question voluntarily, but sooner or later he will have to answer it. In my letter to grand jurors, I asked them to demand a special prosecutor and add Coty to the list of people who need to be investigated. I already had serious doubts about Coty’s allegiances in March, when he signed an affidavit in support of the lawsuit that Mr. Russ filed against the organizer of the audit ordinance. The proposed ordinance gave Mr. Siegert the authority to select a forensic auditor, but he testified in his affidavit that he did not have the legal authority to choose the auditor. 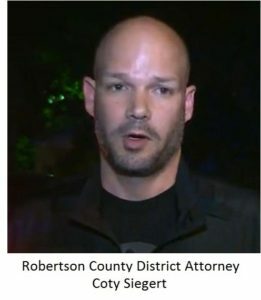 The affidavit was completely gratuitous, because questions of law are decided by the judge, not the district attorney or any other lawyer, and Mr. Siegert would have known that. The only purpose of the affidavit was to give political cover to the Hearne City Council (and perhaps Judge Stem) as they tried to keep voters from deciding whether to have an audit. But there’s only so much that Mr. Siegert can do to protect his new friends in the Mafia. Yesterday a federal magistrate judge in Waco recommended that a civil rights lawsuit go forward against Mr. Russ, specifically because of Mr. Russ’s role in tampering with the petition signatures. That’s a serious problem for the Booger County Mafia. I sued Mr. Russ on behalf of Milton Johnson, a former mayor of Hearne and one of the petition organizers, and now it appears that Mr. Russ and his allies will have to answer questions under oath. So maybe I’ll just ask Mr. Russ what he offered Mr. Siegert in exchange for his loyalty. Or maybe I’ll ask about some of the fraud and corruption in city finances, including whether Mr. Russ or his businesses got any kickbacks. Incidentally, this is not the first time that Mr. Russ and his Mafia cronies have bought off one of my allies. 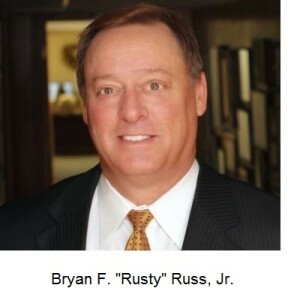 Like Bill and Hillary Clinton, Rusty Russ corrupts almost everyone around him. Shortly after the reformers attained a majority on the Hearne City Council in 2015, for example, he and Mayor Ruben Gomez seduced Councilwomen Hazel Embra, Joyce Rattler, and LaShunda White to switch sides. I don’t yet know what Ms. Rattler and Ms. White were offered, but Ms. Embra was offered a municipal judgeship for which she was (and is) totally unqualified. After her appointment, the position was reclassified as full time and her salary was doubled to $40,000.00 per year (in a town of four thousand people, which means there’s not enough work for one day per week, much less five days per week). For their treachery, Ms. Rattler and Ms. White were thrown out of office by voters last May, so Coty should keep that in mind. In 2012, I helped him defeat his thieving, alcoholic predecessor, John “Red Faced Drunk” Paschall, and I can help someone else defeat Coty when the time comes. Or maybe I’ll just move down there and run against him myself. Hello Mr. Clevenger, as concerned American citizens, we are compelled to tell you about what we’ve witnessed in Hearne, Texas and what might be on the horizon. My husband went to Hearne,Texas in mid March of this year, attended a City Council meeting with a man known to us as Akram Ansari. We’d just met Akram about a month earlier, through a friend. One of the Council agenda items was the purchase of the connected buildings at 202,204, & 206 W 4th Street. Akram presented a Cashiers Check on behalf of The Eezinet Corporation to the Council for $60,000 for building #202, with a note attached stating another $41,000 would be paid for remaining spaces 204 & 206, once the public bid date for those remaining buildings had passed. Before leaving, my husband heard Pee Wee Drake remind Akram of his promise to pay him $1.00 from each Internet customer invoice, once the Eezinet service was up and running. Ms. Joyce Rattler, whom we were told, is also a stock holder in Eezinet Corporation, and purportedly Akram’s cousin; was shown a plaque reflecting her name, which was to be affixed to what would be the (now defunct) newly renovated Eezinet Command Center on W. 4th Street. Over the past few months, we have been trying to find anything we can about Hearne, and Eezinet Corporation. We’ve confirmed through a number of Regulatory Agencies, that Eezinet is selling worthless stock, for which (unbeknownst to them) they are being investigated. Additionally, Eezinet is in an agreement to purchase all of the Hearne, Texas Internet hardware, and infrastructure material through a Chinese company known as Huawei Technologies, a company due to concerns of Chinese espionage; The Department of Homeland Security has banned Internet equipment sales to Government Entities. Mr. Clevenger, we’re not sure of the significance of these issues, but we do know first hand of the corruption in Hearne and Eezinet. We foolishly bought Eezinet stock, and now an Eezinet attorney is reaching out to us, trying desperately to get us to negotiate a reduction in the more than $62,000 they owe us, and make us go away. However, we believe if they are allowed to set up Internet in Hearne through Huawei, it will be the start of exactly what our Government is trying to avoid. With so many tragedies happening in our Nation, we believe it is our duty to assume anything, anywhere can be a threat to Americans. We hope you find value in our concerns, and will call at your earliest convenience. I cannot attest to the veracity of her allegations, but I’ve dealt with Booger County long enough to know that it’s entirely plausible. After all, Ms. Rattler was recently indicted indicted for vote fraud in the last city election (which she lost anyway), and Mr. Drake was indicted for misappropriating city funds. Meanwhile Coty Siegert has not responded to my request for an investigation, so I shared the email with the Robertson County Grand Jury. 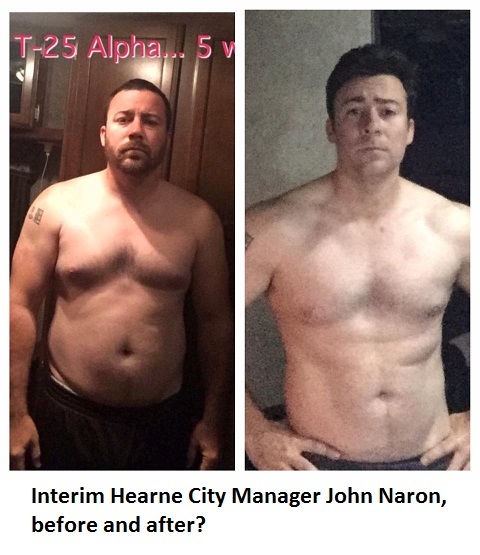 Back in July, I expressed agnosticism about whether John Naron, Hearne’s interim city manager, was affiliated with the Booger County Mafia. At the time, he seemed immature and self-promoting, but ultimately well-intentioned. Unfortunately, I can no longer give him even that much credit. In September, Mr. Naron (a.k.a. “Boy Wonder”) launched one of the most underhanded political stunts that I’ve seen in a long time. In an angry (and grossly unprofessional) Facebook rant, he attacked Councilman Rodrick Jackson and Councilwoman Shirley Harris because they do not support his agenda. (Boy Wonder had never worked for a municipality, and apparently his online management classes did not teach him that city managers in Texas work for city councils, not vice versa). Worse, he implied that they were bilking the city by getting paid $100 per council meeting. So who called all of those unnecessary city council meetings? Not Mr. Jackson or Ms. Harris, but John Naron himself. That’s right: Boy Wonder scheduled the costly and unnecessary meetings, then blamed the cost on Mr. Jackson and Ms. Harris, even though they had been objecting to the excessive number of meetings all along. And Boy Wonder forgot to mention that the other council members — including his allies on the council — got paid the exact same amount during the same time period (a particularly sloppy report by KAGS-TV also left the false impression that Mr. Jackson and Ms. Harris were the only members paid to attend the meetings). So why single out Mr. Jackson and Ms. Harris? Is it because they are the only two black members of the council? Councilwoman Martha Castilleja regularly sides with Mr. Jackson and Ms. Harris against Boy Wonder’s Mafia allies (namely Mayor Gomez, Councilman Emmett Aguirre, and Councilwoman Margaret Salvaggio), but Boy Wonder never criticized her. Maybe because she isn’t black? 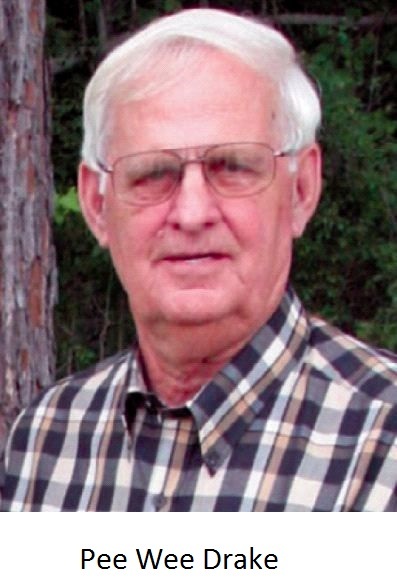 If you’re having doubts about which side is dirty, just remember that it was the Booger County Mafia that pilfered from the city, steered favors to family members, sued the voters to block an audit, and retaliated against the reformers — like Rodrick Jackson — who dared to speak against the corruption. Don’t believe Mr. Naron’s self-serving claim that he has stayed above the fray and has not aligned himself with either side. He has aligned himself with the crooks, so it’s little wonder that he hates Mr. Jackson, and it’s little wonder that he’s trying to frame Mr. Jackson and Ms. Harris as crooks. After all, what better way is there to deflect attention from your own misconduct than to accuse your opponents of being corrupt? And yes, Margaret Salvaggio has joined the Booger County Mafia, too. Shortly after being elected as a reformer in May, she followed the path of Hazel Embra, Joyce Rattler and LaShunda White, switching her allegience to Mayor Gomez, Boy Wonder, and Mr. Aguirre. All of this reminds of a quote from Abraham Lincoln: “Nearly all men can withstand adversity, but if you want to test a man’s character, give him power.” Most people fail that test, regardless of whether they’re city council members in Hearne, local district attorneys, or elected representatives in Washington. But there is one sure solution: keep throwing the bums out of office until they all get the message that we’re no longer willing to tolerate the corruption. In a two-month period, the city’s new law firm billed more than $29,000.00 in legal fees. That’s far more than the outrageous fees that Rusty Russ charged when he was city attorney. The city council was not provided an itemized bill for the charges, so Mr. Jackson, Ms. Harris, and Ms. Castilleja tried to block the expenditure until details were provided. According to Mr. Jackson, however, Asst. City Attorney Sarah Griffin informed them that the bill had already been paid by Mr. Naron, and she said the city charter gave him the authority to make the payment without council approval. If Ms. Griffin’s firm was deeply involved in major litigation on behalf of the city, I might be able to understand a $29,000.00 bill. But Mr. Jackson said he is not aware of the firm’s involvement in any civil litigation. So what were the charges for? I suspect Boy Wonder has been running up legal bills for his own projects. Back in late July, I filed an open records request for all of Mr. Naron’s emails. I wanted further proof of his collusion with the Mafia, and I also wanted to see if he had a hand in framing Rodrick Jackson on an assault charge. On August 4, 2016, Ms. Griffin asked me to clarify my request (a pretty standard technique for buying more time), so I told her that the city could omit any emails subject to certain established privileges (like medical records). In a September 19, 2016 letter, Ms. Griffin informed me that I would have to pay $362.85 to see the emails, and in a separate letter that day she appealed my request to the Texas Attorney General, seeking permission to withhold more of the emails (read the second letter and ask yourself why John Naron would be getting an email from the Kaufman County prosecutor — maybe it has something to do with a road department supervisor who drives city vehicles while his license is suspended?). Three hundred dollars-plus seems like an awfully high price to see emails, so I advised Mr. Jackson and Ms. Harris to request the emails since they are council members and have the legal right to see all city records. This appears to have been an effort to deceive Mr. Jackson. He said he told Ms. Griffin that the city council is her client, not Mr. Naron, and Mr. Jackson is quite right about that. Furthermore, my request for Mr. Naron’s emails has absolutely no bearing on his request for the emails. I am a private citizen and a blogger acting within the limits of the Texas Public Information Act. Mr. Jackson, on the other hand, is an elected council member and therefore holds a virtually unrestricted right to review all city records, regardless of whether they are public information. Accordingly, any ruling from the OAG regarding my request is totally irrelevant to Mr. Jackson’s request (as well as Ms. Harris’s request). I suspect Ms. Griffin already knew that, which leads me to ask why she would try to convince Mr. Jackson otherwise. After all, an attorney who tries to deceive a client with misleading legal advice can be subject to professional discipline. And I must wonder why you and Ms. Griffin have arbitrarily sided with one half of the city council (Mayor Ruben Gomez, Councilman Emmett Aguirre, and Councilwoman Margaret Salvaggio) over the other half (Mr. Jackson, Ms. Harris, and Councilwoman Martha Castilleja). Where a municipal governing body is evenly divided, as in Hearne, I am not aware of any rule or statute that would permit the city attorney to take directions from one side but not the other. A deadlock is a deadlock, and nothing gives a city attorney the right to break the tie or play favorites. Elsewhere in the letter, I demanded that Mr. Jackson and Mr. Harris be permitted to view all of Mr. Naron’s emails, all city-related emails sent or received by Mr. Hyde or his firm, and itemized copies of his bills to the city, to include all detailed time entries. Stay tuned.